Before we get into specific programs, I want to reiterate how important it is to remember that these are tools. As with any tool (that I can think of, anyway), you must know how to use it. None of these is a foolproof option. Don’t blindly accept suggestions from any program. These programs can help you catch things you might otherwise miss, but they also misinterpret things regularly. Plus, the mark of a good writer is knowing when to bend or even break the rules. Okay, let’s jump in to my top three recommendations for self-editing tools. I’m starting with Grammarly because it may be the best-known, web-based spelling and grammar checker. It has a LOT of free options. There’s a web browser plug-in, a mobile app, and even a desktop app—all for free! There’s also a premium subscription available that is more thorough, but I recommend starting with the free version. If you love using it but wish you had more features, then you could consider upgrading to the subscription. I used the Grammarly browser plug-in for about nine months. Then I uninstalled it. It did a better job of catching my typos than Chrome’s spellcheck, but I got frustrated with how often it gave me strange, incorrect grammar suggestions. I’m still including it on this list because the free mobile and desktop apps are great features, and I know many people find Grammarly helpful. But please don’t jump into a subscription unless you’ve used and loved the free version for a while. Next, let’s talk about ProWritingAid. This is a program that’s newer to me, but so far, I’ve been thoroughly impressed with it (so much so that I signed up to be an affiliate). 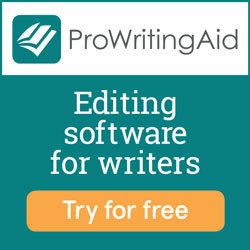 ProWritingAid bills itself not only as a spelling and grammar checker but also as a writing coach of sorts. Besides flagging potential errors, it also makes suggestions for improving the clarity of your writing. There are all kinds of reports you can run to analyze different aspects of your content. The free version doesn’t have quite the same flexibility that Grammarly does, but you can still do a TON with it. I’ve been using the free browser plug-in for a few months, and it has pleasantly surprised me. It gives me fewer false positives than Grammarly did. The editor in me also appreciates that ProWritingAid presents its grammar feedback as suggestions, recognizing that they may or may not fit what I’m writing. For instance, instead of telling me split infinitives are wrong, it says “Some people strongly object to this type of construction, especially in formal writing. If your reader is likely to object to the split infinitive, rewrite to avoid its use.” Call me ridiculous, but I appreciate that distinction (especially since the rule against split infinitives isn’t really a rule). If you want ProWritingAid to check something you’ve written outside of your browser, you can copy and paste your piece into the web editor. It underlines potential problems like the plug-in, but the web editor also allows you to run a variety of reports on your writing. These reports are fantastic! I recommend starting with the summary button near the top left. This will give you an overview of your piece’s performance in key areas. You can stick with the summary or dive deeper into areas that may need some work. I also love that ProWritingAid allows you to choose your preferred style for analyzing your writing. You can choose from general, academic, business, technical, creative, casual, and web. This is invaluable, because style is—just about—everything in editing. However, here’s the final thing I appreciate about ProWritingAid: if you try the free version and love it like I do, you can purchase lifetime access for around the same cost of a single year’s subscription of Grammarly. AND they were kind enough to let me offer you a coupon code! Enter ANDRUS1925 to save 25%! Finally, I want to tell you about Hemingway Editor. As you’ve likely guessed, this program’s creators named it after author Ernest Hemingway, a master of pithy prose. Hemingway Editor aims to help you improve the clarity and strength of your writing by flagging five common pitfalls: run-on or overly long sentences, confusing sentences, flowery language, weak phrasing, and passive voice. Now, none of these things is automatically wrong, depending on the style and purpose of what you’re writing, so you’ll want to carefully evaluate each suggestion, just as you would with any of these tools. (I first learned of this app from Ann Kroeker, Writing Coach. She pointed out on her podcast that some excerpts of Ernest Hemingway’s writing wouldn’t pass the Hemingway Editor test.) But this program offers a streamlined way to help you zoom out, see your work more objectively, and decide if you want to make changes. You can access the free version here. If you later decide to upgrade, the paid app is only $20 for lifetime access! I hope one or more of these tools will be helpful for you. Just remember, none of them will be correct 100% of the time. If you have another favorite, I’d love to hear about it in the comments! Part 1: Why are Editing and Proofreading Important?